Okay, females of basically the same age as me: we need to have a chat about not falling in love with psychopaths. Everyone else: you may not think this is a serious, wide-spread problem -- but it totally is. As we speak, females of basically the same age as me are falling in love with dangerously crazy and/or evil fictional characters. This issue has been on my mind for some time, but it was brought to the forefront tonight as I was watching a clip from The Phantom of the Opera (the "dreaded" 2004 version) on YouTube (don't ask me how I got there; I couldn't possibly tell you -- YouTube sucked me into its endless, mind-smushing evilness). Basically every comment was a variation on the theme of hating Raoul and loving the Phantom and thinking that Christine was an idiot to choose the former over the latter. These comments ranged from "GERARD IS HOT!!!!!" to lengthy, eloquent treatises on The Phantom's "beautiful love for Christine." Now, I am perfectly willing to admit that my emotional connection to Christine + Raoul in any given production usually depends on the attractiveness of the Raoul, but I also understand that the Phantom is a psychopathic stalker serial killer. Yes, the Phantom had a horrific life. And yes, he twirls his cape brilliantly -- but he's also a psychopathic stalker serial killer. The key here is to be more like me: shallow, but not delusional. The real problem is the rationalization. You cannot rationalize killing innocent people by saying that he didn't start doing it until after Christine annoyed him (direct paraphrase). This kind of rationalization leads to bigger problems in life. Example: my good friend and David Tennant movie watching pal, Grace. She loves every attractive, evil character ever created. It's not a joke. If she's watching something and there is an evil guy -- she will love him. We spent a weekend watching BBC Robin Hood a couple of years ago and she was so infatuated with Guy of Gisbourne that she tried to pretend he was "misunderstood" (spoiler alert: Guy leaves his own child to die in the woods, angrily kills his "one true love," etc, etc end spoiler alert). Oh, the things she tried to rationalize. I mean, yeah, that's Richard Armitage -- that makes sense. IT'S RICHARD ARMITAGE. But, no. She loves every evil character ever (too many to name). My concern for her is real. I have developed a checklist for her new relationships (although, I keep forgetting to give it to her; which rather defeats the purpose). You wouldn't laugh, if you knew the seriousness of this dilemma. And, it's not just Grace who has been afflicted. No, this is an epidemic. It starts with thinking that the Phantom is adorable and ends with everything getting all Bonnie and Clyded up. Repeat to yourself: shallow, but not delusional. I feel better now, having been able to impart some of my wisdom to others! P.S. Your ability to take this post seriously will directly hinge on your ability to forget that every other post in this blog is in celebration of evil, deranged, "morally unstable" characters. Forget about my love for evil smiles and dastardly quips. Forget about The Phantom Asthmatic. 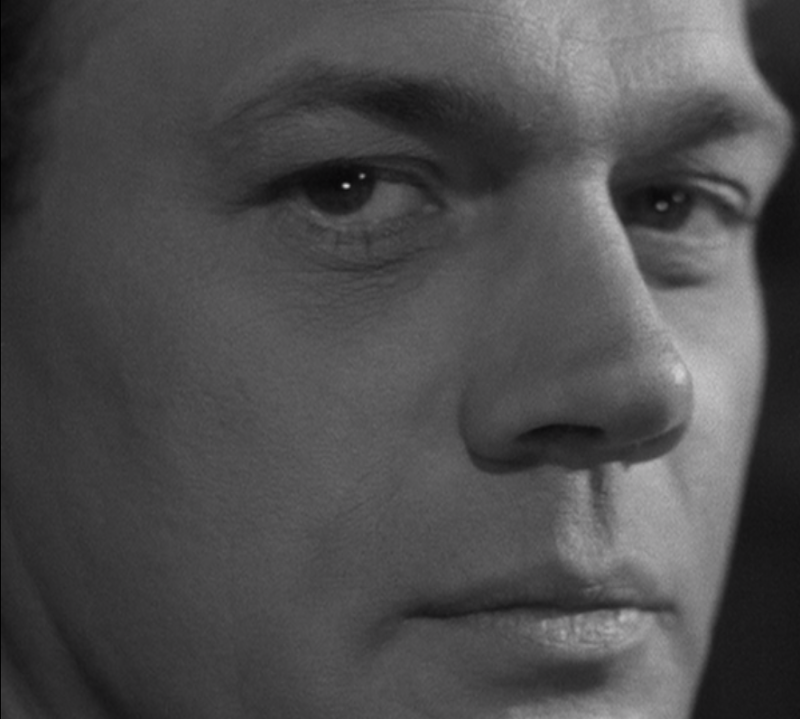 Forget about Bradford Dillman, Ralph Meeker, and Uncle Charlie. Forget all these things and think only of the great wisdom I share. 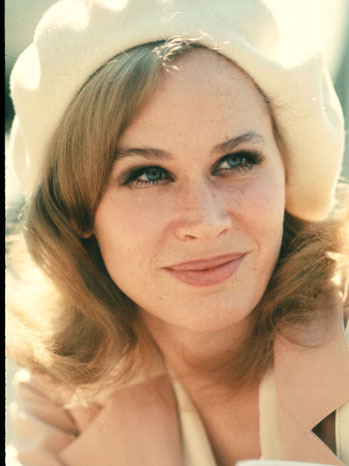 I mostly love Karen Black from completely random things that no one else cares about, but she was always absurdly great. She had the most fascinating face and the most brilliantly charismatic presence. One simply could not look away when she was on screen.